1956 ford two door wagon Photo Picture Classic Cars for sale & Classifieds - Buy Sell Classic Car & Classic Truck Classifieds. 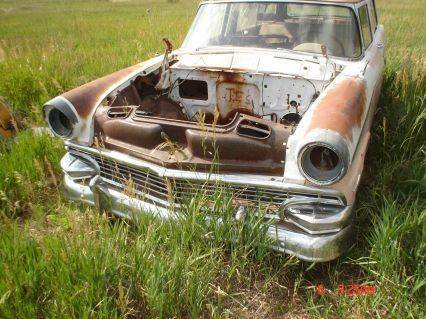 Victor sent us this picture of a 1956 ford two door wagon in the middle of a pasture. i love these wagons.i'd even take one over a 56 htp. there's a rusty '56 ford 2 door ambulance sitting in a junkyard about 20 miles from my house. I want to restore it, but I have to many other projects and no land to store more. That's just Awesome. it looks like for the most part, it's all there except for the hood. that would a really sweet '50s mild custom with wide whites and fiesta's!